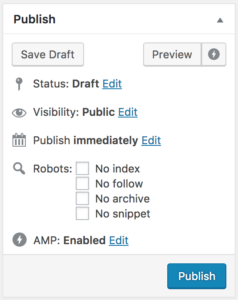 WPSSO Core v3.52.0 includes a new “Robots” option for search engines / SEO in the post edit Publish metabox (see the changelog here). Uncheck the “meta name robots” option under the SSO > Advanced > Head Tags List > SEO / Other tab to hide / exclude the “Robots” option from the Publish metabox (enabled by default if no SEO plugin is detected). This new WPSSO Core version includes a new “Person” role for users – this role is added to all new users by default. You can uncheck the “Add Person Role for New Users” option under the SSO > Advanced > Integration tab to disable this automatic feature (enabled by default). The “Person” role will be used by WPSSO JSON for selects requiring a “Person” role for its Schema markup. WPSSO Core v3.53.0 also includes fix for the image upscale feature – an incorrectly named variable prevented the proper calculation of the image upscale size.